Many thanks to Frank Knight for this lovely photo–what a nice birthday present! Delicious as it looks, the brown stuff isn’t really cinnamon, of course. In fern-speak, the fuzzy brown stalks are called fertile fronds–leaves whose function is to help the plant reproduce. 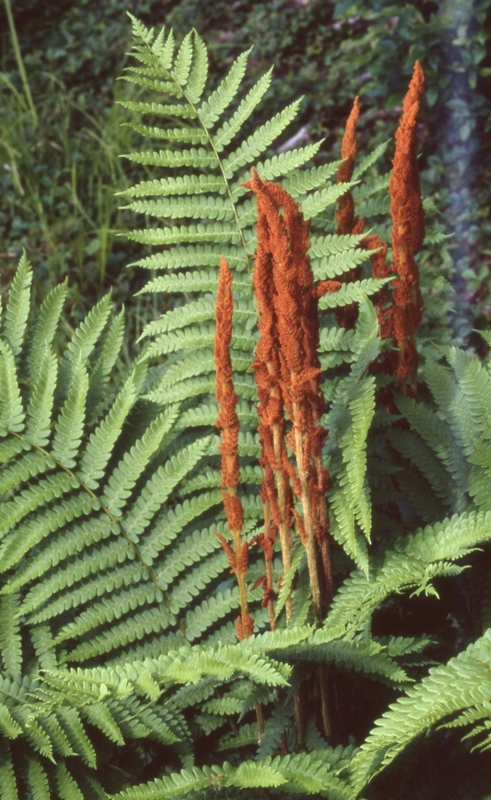 The fertile fronds grow sori, which are containers for dust-like brown spores. The green leaves are called sterile fronds–no spores, but they do that usual green-leaf thing of making food for the plant.